By Noel V. Bourasaw, Skagit River Journal of History & Folklore, ©2005 Part One Harrison Clothier is one of the historical icons of Skagit county, but we have not yet seen a profile of him that explores in depth the tremendous impact he had on logging, mining and establishment of the county itself. In this story, we will explore all those areas and more, and we will explain the early years of Mount Vernon, which started as a rough-and-tumble village in 1877 and twenty years later — after the disastrous fire of July 1891 and after the 1893 Depression, was well on its way to becoming the economic center of the county. Along the way, the reader will also learn about Clothier's former student and partner in the new town, Edward G. English, whose written record is surprisingly even thinner than Clothier's. In the years between 1877 and 1891, Clothier became one of the county's most prominent political leaders even though he was a minority Democrat, but in the period until he his death in 1906, he was bypassed by other pioneer businessmen — including English, and his days as a leader were largely over. Did 35-year-old Harrison Clothier have any idea when he hitched a ride on Sam Calhoun's freight boat in the fall of 1875 that he was on his way to becoming the key figure in the county? Unfortunately we do not know because he left very little in writing. His background up until then was mainly in teaching and farming, but like many other Northwest pioneers, he crossed the country from his birthplace and observed closely how the country was rapidly growing in many different areas, and he saw the struggle the country experienced as it approached the 100th birthday. Clothier was born on July 9, 1840, in the town of Corinth, Saratoga county, New York. The Hudson River flows along the eastern boundary of the county in a generally south and easterly course. Clothier's creek, named for his family, runs along the northwestern base of Mount McGregor — one of the dominant landmarks. As an 1878 history of the county notes, Ambrose Clothier came into the town in 1775 and settled near Mount McGregor. He had three sons and three daughters. "The old gentleman and all his sons were noted 'fiddlers' in their vicinity. It is said that when the old gentleman was over eighty years of age he heard, one evening, one of his sons playing a hornpipe. He crossed the road and, with nimble steps and unwonted vigor, danced a hornpipe and ran back home before the son got out of the house to see who was making the racket." One of those sons was Ebenezer K. Clothier, who farmed in the area and was elected as the tax collector four years after Harrison was born. Harrison's first name derives from the fact that Ebenezer was a Whig and an admirer of General William Henry Harrison who was conducting the famous "Tippecanoe and Tyler, too" campaign for president when Harrison was born. Ebenezer's father moved there from Connecticut shortly after the close of the Revolutionary War and was of English extraction. The family traced its roots back to the Smiths of Plymouth Rock and the King family of New York, who were prominent in Dutch society in the early days of the Empire State. Three members of the immediate family also enlisted for Civil War service, but we have no record of Harrison doing so or why he did not. Harrison was educated in the common schools of Saratoga county and the high school at Macedon Center, Wayne county, New York, where he graduated in 1858, and for the following two years he taught school in New York. He remained in the place of his birth until 1868, with the exception of three years spent in New Jersey and in Troy, New York. In 1866 he began renting his father's estate and farmed there until he left for Wisconsin. He never returned to his birthplace for the rest of his life. We do not know why he initially moved so far away to the middle of the country. He first located at Trempealeau, on the Mississippi river near Arcadia in Wisconsin, and stayed there for two years, teaching school in winter and farming during the summer seasons; one of his students would play a very big part in his later life. He next moved on to Minnesota, where he followed the same vocations in the same seasons. Then, in 1872 he began merchandising in Farm Hill, Minnesota, under the firm name of Clothier & Divine, the first preparation for his store in Mount Vernon. He spent the next three years there in that small town near Rochester, Minnesota, and continued teaching in the winter terms. Go West young man, 1875 Clothier likely heard about logging and homesteading in the Northwest from Scandinavian families whose members migrated westward from the Midwest in the early 1870s, because Clothier set off in May 1875 for San Francisco, probably riding the Union Pacific and Central Pacific trains. He stopped for a short time at Reno, Nevada, but he reached San Francisco that summer and stayed there only briefly, boarding the steamer Pacific for the Northwest in September. Two months later that steamer sank off Cape Flattery, with the loss of several hundred lives, but Clothier arrived in Seattle without incident and soon met Sam Calhoun, who was in town on one of his regular freighting and marketing trips. Clothier worked for Calhoun in the harvest that fall and probably met some of the early pioneers there, including Otto Klement, another future partner. We are not certain if English was in the county yet at that point. According to the 1906 book, Illustrated History of Skagit and Snohomish Counties, Clothier was not immediately impressed with the promise of either the Swinomish flats where Calhoun was farming or the Beaver and Olympia marshes to the east and northeast. The field work was back-breaking and forests still covered much of the best farmland, so he moved on to Oregon, where a three-month school term was open at Howell's Prairie, starting in November. That location did not strike his fancy either, so he moved on to work on farms around Walla Walls. But in the fall of 1876 he was back at LaConner for the harvest, so something surely called him back. Calhoun had been draining and diking his land parcels for several years, so maybe Clothier's work impressed Calhoun and the money was attractive. Clothier settles permanently in 1876 More Indians than whites lived in that part of the county at the time. 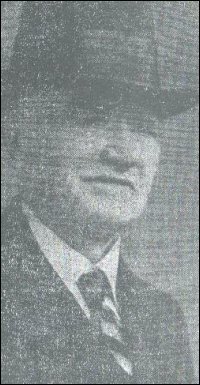 Indian agent John P. McGlinn was responsible for about 200 Indians. The Western Union Telegraph Co. telegraph wires extended to the reservation on the west side of Swinomish slough. James H. Gilliland was in charge of the station and Lauren L. Andrews was the storekeeper there, but he would soon move across the slough. The Gaches Brothers had bought out John S. Conner's store and were already the leading merchants of the Skagit area, which was still the southern half of Whatcom county. Bedford L. Martin also had a small store in the wee town of LaConner on the east side of the slough. A sternwheeler steamboat from the Seattle-Utsalady-Whatcom route stopped with passengers and freight once a week. In Otto Klement's memoirs we find a 1935 letter in which we find that he worked for Samuel Calhoun in that harvest season and he notes that he worked along with both Clothier and English. "Finding that they were in quest of a location for a store, [the writer] prevailed upon them to accompany him to the Skagit." Klement may have puffed up his resume in his old age, but he certainly did know more about the course of the river than anyone else living on the mainland at the time. He arrived in the valley in 1873 and had already traveled up and down the river and sloughs for three years. He also knew the pioneer loggers who were cutting timber in the dense forests along the waterways, and he knew the miners who were digging out coal upriver since Amasa Peg-Leg Everett's discovery of the ore two years before. Klement was born and raised in Wisconsin but there is no indication that he met Clothier back there. If Klement did induce his future partners to the future townsite, their interest in it did not rise immediately. After the harvest, English was hired by pioneer George Savage to be bookkeeper of a small sawmill Savage had just opened on Fir island near the west side of the south fork of the river. Clothier took another winter teaching job, this time in a crude barn across the river on the homestead of David E. Kimble, one of the first three settlers of the Mount Vernon area. If you wonder why the school term in those days usually started in November, the answer is that this was well past the harvest season. The term usually extended through February or March and then the children were ready again to work at preparing the soil and planting crops with their parents. He was hired by W.H. Fouts, Whatcom county superintendent of schools, and he taught 20 pupils. As the school term ended in February 1877, that could have been when Klement introduced Clothier to Jasper Gates, who owned a homestead on the east side of the double horseshoe bend of the Skagit above the south fork. At that time, steamboat navigation ended at Kimble's Landing because two dense logjams choked off the river for two miles between his ranch and the future site of Avon. Two small towns were located on the south fork to accommodate the sternwheeler trade. Mann's Landing, which would soon be renamed Fir, was just a few miles upriver from the delta and mouth on Skagit Bay, and Skagit City was located in the notch just south of where the river branched off into its north and south forks. Teams of loggers had already started in 1876 to remove the logjams so the possible upriver town location began to look very inviting. More loggers and farmers were appearing all the time as the country's economy began recovering from the 1873 Financial Panic. Evidence of the initial growth comes from comparison of two statements. In his memoirs, Klement stated that there were 60 whites in the valley when he arrived in 1873, a majority of whom had arrived within the previous two years. In the 1906 Illustrated History, visiting reporter Eldridge Morse is quoted from 1877: "Seven years earlier, he says, there was scarcely a score of claims in the whole Skagit valley, but in 1877 there were about seven hundred settlers in the valley, of whom probably nearly two hundred were white women." By 1874, the little shallow-draft sternwheeler Fanny Lake furnished regular service from Seattle to as far upriver as Skagit City at the forks of the river. Starting in 1875, LaConner pioneer J.J. Conner shipped coal ore down the river in canoes and after it was portaged around the two log jams, it was loaded onto the sternwheeler Chehalis at the bank below the jam next to Kimble's house. Railroads were still a decade away so transportation and shipping all centered on rivers and Puget sound. By the spring of 1877, capital investment was flowing again to Washington territory although complete recovery was still a year away. In Dennis Thompson's seminal 1989 book, Logging Railroads in Skagit County, he quotes Savage's daughter, Catherine Savage Pulsipher, who recalled a century later how Clothier and English became partners. She was born in 1892 and her memory was faulty about the location and time, she recalled a family story about how English was working as the mill's bookkeeper, when "an older man came along and after talking to him, asked if he would like to go on to what is now Mount Vernon to start a business there." The older man was, of course, Harrison Clothier, who had taught young Ed English in high school in Wisconsin in the mid-1860s. A sense of place: Mount Vernon as pieced together by research We wish we knew if the partners arrived in Skagit county independently, but we do know that soon after Clothier visited the mill, the two men formed a partnership in March to open a trading post on Jasper Gates's land. They paid Gates $100 for ten acres, which encompassed four blocks on the waterfront. In Elwood Evans's 1889 book, we learn that they had saved $1,500 capital between them. Clothier was 36 that year and English was 26; the older partner was definitely the leader to begin with. They quickly erected a two-story frame building and stocked the lower story with merchandise and staples, while providing a loft upstairs for newcomers to stay overnight after arriving. The loft became known as Skagit Ned's. This view is of the east side of the Skagit river where downtown Mount Vernon is now. Various publications indicate either 1879 or 1881, but we think 1880 is correct because the Ruby House hotel is in the scene. The photographer was standing about where the west end of the bridge to Mount Vernon and the Memorial highway is now. Note the flag at the left. We know that the scene was after 1877 because that is when pioneer John Lorenzy (also spelled Lorensey in some records) shinnied up that tall cedar to attach and unfurl Old Glory. The tree burned in the famous Mount Vernon fire of 1891. John and Blanche Lorenzy later owned the Brooklyn Hotel. The late Maxine Meyers of Lyman loaned this photo to be scanned and handwritten notes by Lyman pioneer Henry Cooper on the back identify some of the structures. 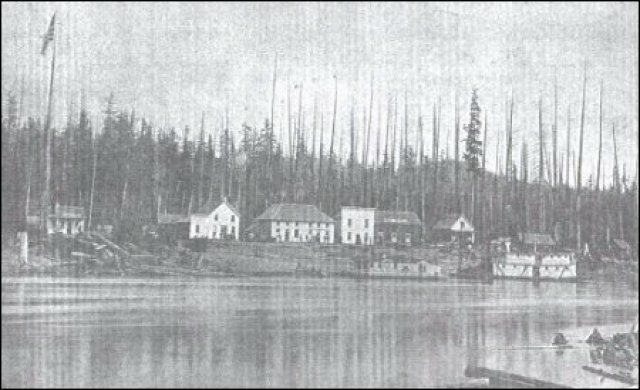 From left to right, you will see the Bonanza Saloon; Clothier & English general store, the first building in town, with Skagit Ned's upstairs; the Ruby House/McNamara Hotel; a floating house on the river; a drug store owned by Dr. D.Y. Deere; and a logging camp. The steamer Glide is on the river. Henry Cooper described this photo as being what Mount Vernon looked like when he and his cousin Henry Cooper Leggett arrived. Can you tell us anything more about this photo? The shoreline was considerably different in those days. As you can see, the shore that is now covered by the revetment was a steep slope that ascended to a ridge about 30 feet above the river. Over the decades, pioneers built a wooden seawall; that washed away in floods, the shoreline eroded almost up to Front street, and then the seawall was built up again, finally replaced as a revetment sixty years ago that we see today. Pioneer merchants laid out the town in 1877-80 on two tiers of blocks. The street on the riverbank was called Front street, which was laid out on top of the ridge; the one to the east was Main street. Main street now runs north-south along the revetment. Front street was roughly where the alley runs above the riverbank. The whole townsite was dense with timber and brush and probably the only structure there before was a crude log cabin that Gates originally erected at what is now the northeast corner of Gates and Main streets. The owners never dedicated the original plat, and the surveyor never recorded it due to negligence. A new plat was finally filed in 1885. We do not know the exact location of the original store on Front street except for a brief mention in the 1906 Illustrated History: "upon the land where the creamery now stands." If we are correct, the writer meant the old condensery building at the east end of the present bridge across the river. That book also notes that "the shore extended some forty or fifty feet further into the river than at present and there was a small island near the store." In this case, when I say "we," I mean Tom Robinson and myself. Robinson, who is retired from a long government career around the world, is now in the final stage of writing a book that centers on LaConner, the Swinomish flats and parts of Fir island and the forks of the Skagit. His Skagit county roots are much deeper than mine. He is descended from more than one pioneer family, ranging from Dr. Horace P. Downs to the McMackins of Prairie, north of Sedro-Woolley, so I have pestered him with questions since we met by accident at the LaConner Museum research library about six years ago..
Every time I look at my Evans engraving, I come away confused again. Apparently, the picture does indeed (as claimed in the Skagit News in 1889) look down from about the Catholic church site (then and now). The cut-off, steep, old street that runs along the south side of the First Baptist Church is the present Division St. The Elwood picture seems to look down that street, though just a bit from the south side (roughly, where the Catholic church is today). If that's Division, then it comes to a dead stop at what I guess is the present Main ("brick") St. The store was a bit south of the northern end of the land bought by C&E. Surely, the C&E store was at what we might think of as the corner of Front St. and Montgomery St. — the old Eddy's Furniture. I [originally thought] that the store had been where the Carnation Plaza parking lot is now -- where there was a "creamery" before Stewart took over and built his big condensery. The Carnation site, after all, was outside the ten acres purchased by C&E. But [the late] Roger Fox was very definite about the store's having been at the Eddy site. I stood on the [west] side of the river with an early town photo and triangulated to the hills behind the town. I found the spot from which the picture was taken by concentrating on the hills, mostly Little Mountain. It was obvious that the C&E store in the picture was at the present Eddy site. My "triangulating" showed the Washington Hotel to be just inside the northern end of that land. In fact, it looked as if part of the hotel was on what is now the incline leading up on to the bridge. Washington Hotel burned [in 1891]. Looking at my Evans steel-print engraving, it certainly does look as if the north part of the building stuck out into what would become Division when the [wagon] bridge was built [in 1892, opened in 1893]. I do not know when Division got its name, probably not all that early. As to the Brice residence, the 1906 history says it was on the townsite, which means that it would not have been north of what became Division. At the time of Eldridge Morse's 1877 visits it appears that what was on the land north of Division was William Gage's lumber camp. The ferry landing in my picture seemed to be below the Carnation Plaza parking lot, perhaps its northern end. Where I was standing north of the present bridge, my location appeared to be about where the Westside landing was. I'm not sure, but I think that what Gates sold to C&E would have included all of First Street. I don't have any idea whether what they bought was a rectangle with a short side along the river or one with a long side along the river. Anything outside of that in Gates's quarter section, only Gates could have sold, though it would not be surprising if there had been middlemen who purchased from Gates and who then sold later to others for houses and businesses. I haven't seen any evidence that Gates ran what would in effect have been a real estate business. It is only about one year, or little more since our first visit to the jam. Then there was nothing above the lower jam, near these jams, besides the loggers' camp that a person would notice in the shape of business. Now just adjoining Mr. Gage's logging works we found a town starting into life with all the various institutions incident to a business centre. Messrs. Clothier & English had just erected a two-story building, the lower story for a general merchandise store, while above was a public hall. Only a short distance from this store was Mr. Jonathan's Shott's new hotel, also two stories in height and well fitted to accommodate those likely to visit it there. . . . Mr. Cottenbaugh is putting up a very tasty house. We also met Mr. [John] Cornelius of the Swinomish, who was up there to survey the new townsite and plat it, so that each one would know their boundaries. Others are preparing to build. For the present at least until after the removal of the jam and the starting of a town higher up the river, it will be quite a business centre catching a good deal of up river trade; but the largest permanent town will in time be built above the jam. Mrs. Shott [operated] the hotel, which consisted of one room and a kitchen, with a loft overhead for the traveling public to spread their blankets. I remember, after eating a hearty supper of bacon and eggs (Mrs. Shott was a good cook), I reached the garret by climbing a ladder through a trap door. A tallow candle illuminated the room where there were already a dozen or so men asleep. Cottenbaugh, who was a cook at the William Gage logging camp north of the townsite, built his structure somewhere between the store and the hotel, initially planning for it to be a restaurant for the crews in the various nearby camps and the men working on the logjams, but Clothier commented, "Sad to relate, but inevitable, this same building was opened at the beginning of the next year by John A. Bievel [actually spelled Bieble] as a saloon." That business soon became known as the Bonanza Saloon, according to notes by Lyman pioneer Henry Cooper. The writer's sadness seems contradictory because Whatcom county granted a liquor license to Otto Klement on May 14, 1877. Other names on the license were Ed. G. English and Harrison Clothier, so we assume that it was for sales at the store. The bond was for $500 for six months. Klement would continue as a partner in various ventures with the two men over the next seven years. The first actual house was erected at the far-north end of the townsite for Dr. William Brice. Back in Missouri in 1855, Brice married the widow Nancy Snodgrass Kimble, mother of David E. Kimble. Clothier immediately applied for a post office under the name of General George Washington's estate on the Potomac river. When we thought about the inspiration for the name, we wondered if the two partners first met on or about Washington's birthday on February 22. In our research we also found an interesting coincidence about settler Dennis Storrs who arrived on the Skagit in 1874. His claim was on the west side of the river in what was later named the Harmony district. He came from Mount Vernon, Iowa, but we have no idea if he had any role in naming the village. Before the post office was granted, the county government paid Jasper Gates $1.50 to row his canoe back and forth from Skagit City where he picked up the post from the Fanny Lake mail boat from Seattle The store partners added a stipend for William Gage. D.E. Gage, William's brother, had a trading post at Skagit City. That arrangement apparently lasted until the lower logjam was cleared enough in 1878 so that initially the steamer Wenat and subsequently other sternwheelers could bring the mail up to the townsite. Fourth of July 1877 The post office was authorized on June 29, 1877, just in time for the 101st anniversary of the Fourth of July and the Declaration of Independence. The celebration for the Fourth was the seminal event in the first year of the town. On an undetermined spring day Clothier, (some say English,) and John Lorenzy, a man over 60 years old, were standing on the river bank looking at a beautiful cedar tree, six feet in diameter at the base, and rising straight as an arrow for more than 200 feet, Mr. Lorenzy proposed to climb the tree, cut off the limbs and the top and convert it into a flag pole. Others thought it too dangerous, but he succeeded in doing it in spite of the sway of the tree in the wind, cutting it off about 140 feet above the ground. John Lorenzy and his wife, Blanche, later built the Brooklyn Hotel in Mount Vernon in the 1890s, then the Mountain View Hotel in the boom days of 1890 Hamilton, and invested in land in the town of Mountain View, which later became Clear Lake. 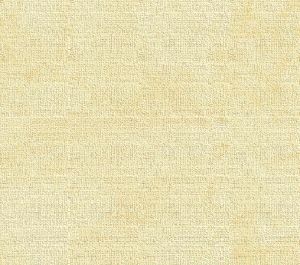 Clothier and English furnished the material to make a 24-foot by 36-foot flag. The DAR placard posted by the flag, when it was placed in the 1923 Skagit County Court House, states that Mrs. Charles Towne cut out the stars, and that Mrs. Minerva Kimble, Mrs. Clarinda Gates, (youngest sister to David) Mrs. Dennis Storrs, Mrs. George E. Hartson, Mrs. J.F. Dwelley and Mrs. Jonathan Shott sewed the flag on Mrs. Gates's sewing machine, while Mrs. Michael McNamara and Mrs. Papin prepared and served their lunches. The flag and flagpole by the river became the center of the Forth of July celebration, which ended with a picnic at the Kimble farm in the spruce grove. The flagpole remained the pride of the town for fourteen years until it was burned, together with most of the buildings, in the July 1891 downtown fire. Lorenzy had the sad task of felling the remains of the tree. The only problems we have with the above account is that photos of the flagpole tree do not show a 200-foot giant, but rather a roughly 75-foot limbless tree. And that most-quoted account also ignores the role of Nancy Brice, who was one of the prime movers behind the first Fourth celebration, according to research by one of her descendants, Judith Oldham. For the celebration that year, Mrs. Brice and her daughter-in-law Minerva Jane Kimble led a team of local women who sewed the flag with 38 stars that was hoisted from the cedar tree which stood about fifty yards north of the Clothier-English store. We are also surprised that local histories have never pointed out David E. Kimble's paternal relationship to Martha Washington, the first lady of both the nation and of the Mount Vernon plantation in Virginia. A black wool shawl is displayed at the Skagit County Historical Museum in LaConner and a placard states that it is a shawl of Nancy Brice that was donated by her granddaughter, Martha Gates Parker. Was Kimble the one who influenced the partners' choice of the name? In June of that year an Indian scare was precipitated that looked serious. Upwards of 1,000 Indians in around 200 canoes presented themselves at the foot of the jam on the way to the upper river. Their attitude towards the Whites seemed unusually sullen and dire forebodings were read in their painted faces. An entire day and night was consumed in moving their canoes and plunder around what remained of the jam. Meanwhile the air was rendered vibrant with their uncanny yells. Messengers were dispatched to remote settlements to communicate the impending danger, especially when the village leaders learned that Indians had bought out the stock of firearms, gunpowder and ammunition available at LaConner. Klement was actually upriver cruising timber at the time and when word reached that area, he met with Indians to help defuse the situation. Downriver, Bob Pringle, a Civil War veteran, mustered up a militia force. Calmer heads on both sides averted any real battle and everyone went back home, but the conflict simmered underneath the surface and would re-emerge within two or three years. Business builds slowly in the new town Clothier acknowledged years later that business was very primitive in those early days. The principal trade at their store was in handling beautiful fur and hides from the upriver Indians. Muskrat and beaver skins were in high demand and he recalled that on some individual days as much as $35 to 40 worth of hides would be traded. But he also noted that there was very little money in circulation. Much of the trade was subject to barter and horse-trading and the LaConner stores provided a much wider selection for loggers, farmers and miners. The next detailed personal observation of the town in those early days comes from a 1949 interview by Maurice Helland of the Mount Vernon Herald with Paul Pressentin who arrived here at New Years 1878 as a boy with his brothers and mother, Wilhelmina von Pressentin. They soon joined her husband, Karl, at their Birdsview homestead. [A sternwheeler, possibly the Chehalis], docked at Mann's Landing and from there the party went by dugout canoe to Mount Vernon. That was their first experience with dugout canoes, the prime means of transportation on the Skagit, which came to be as common to them as automobiles are today. There wasn't much to see at Mount Vernon. Pressentin recalls the shack occupied by Clothier and English, the traders, and another occupied by a Mrs. Shott who was their landlady for the night. They slept on the floor. 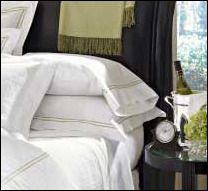 The bedding which they had carried with them and which had represented their "Pullman accommodations" on the train trip out, came in handy again, but it would have been hard to find a greater contrast to their home in Manistee [Wisconsin]. The first thing that the young boy saw, to his great surprise, when he woke in the morning, was the sun streaming through the cracks between the rough-hewn hoards that made up the walls of the shack. Fortunately the weather was pleasantly mild that January. Clothier and English had a "store", but the name was appropriate only because there was nothing better in that frontier settlement. It was just a one-room cabin, not large, with a fireplace at one end for heat and cooking, bunks for sleeping and the living equipment intermingled with the merchandise. Mrs. Pressentin, her son recalls, bought out most of the stock, including all the flour, all the sugar (brown), and whatever coffee was on hand. Her shopping expedition, left the store's stock reduced to a few pairs of overalls and some chewing tobacco. Paul's uncle Ben, who had come out with his brother the year before, met them at Mount Vernon and accompanied them up the river to their future home. Clothier recalled that in 1878 there was little progress, as only one dwelling was erected, for logger John Gilligan. In 1879, as the lower logjam was largely gone and a channel had opened through the upper jam, population increased and Michael McNamara erected new hotel built of rough lumber for few hundred dollars, on the second lot south of store and christened Ruby House for the Ruby creek mines, which we will review below. Also in 1879, Dr. D.Y. Deere opened the first pharmacy in town. In 1880, Clothier, English and Klement erected a new hotel called the Mount Vernon, directly north of the Ruby House, during a very busy season. Clothier also notes that by New Years 1881 the population of the town itself was 75. We know from 1880 census details that many of those residents were actually loggers and mill-workers from logging camps such as the one for Jesse Ball and for the Rev. B.N.L. Davis. The Ruby creek gold rush of 1878-80 As we often remind readers, development of the Western United States and the timeline of the early frontier is largely dominated by the search for gold and, to a lesser extent, for silver and coal. No matter what other profession a frontiersman followed, the mere rumor of gold could inspire him to secure his cabin, hop in a canoe and head upriver to make his fortune. In 1877 that process started all over again, reportedly because an old blind Indian appeared in LaConner and told about the yellow metal that he and other Indians found in the North Cascades. In a 1935 letter to Ethel Van Fleet, Klement recalled that, while business was slow in the new town of Mount Vernon in 1878, he "dug out myself in a little cabin on a timber claim between the [David] Batey place [old-Sedro pioneer] and old Sterling. 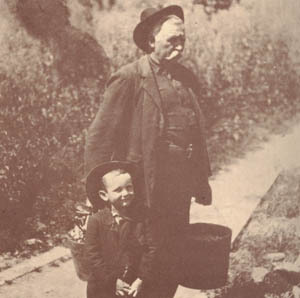 The year before, Klement and experienced gold prospector Jack Rowley and a few upriver pioneers crossed the Cascades on a prospecting trip without any notable results. They set out again in the spring of 1878 and found placer gold on several tributaries of the upper Skagit, mainly around Ruby creek. The results were promising and the prospectors tried to keep a lid on their discovery, but by 1879 the Seattle Post-Intelligencer let the cat out of the bag and the arrival of prospectors started building. That was year that F. Albert Bacon, a newcomer from Maine, staked his Nip and Tuck claim that led to an avalanche of miners in the spring of 1880. The hotels of Mount Vernon were bulging and unusually high water that year — the result of the blizzards of 1879-80 and a very warm spring, encouraged even the timid sternwheeler captains to make windfall profits carrying people as far upriver as The Portage. That portage point was where a dramatic waterfall was located, ten miles above the junction of the Cascade river, and ten miles further was Goodell's Landing. Goodell's creek empties into the Skagit at a point where Indians dried salmon for centuries. That spot, where the Seattle City Light Newhalem headquarters stands today, was the jumping-off point for miners who had to pack in supplies almost 20 miles to the gold fields of Ruby, Granite and Thunder creeks. In 1879 a Portland entrepreneur, N.E. 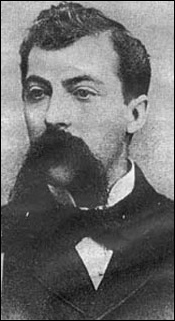 "Edward" Goodell, opened a small trading post at his namesake creek [roughly at present Newhalem] and Klement suggested that Clothier take over the business when Goodell ran out of capital and returned to Portland. Around 4,000 argonauts launched a minor flotilla of canoes, skiffs and scows up the Skagit; others just hoofed it through the forest. Snow in the Cascade foothills that winter reached record depths, ranging from 12 to 30 feet at times. Later homesteaders discovered stumps 30-40 feet high that were cut years before by miners as they stood on top of the snow pack. The placer gold in the creeks and the early diggings that year soon played out, but Clothier definitely profited from the excitement, taking out $2,800 in gold, according to the Illustrated History. An indirect result of the Ruby creek gold excitement was the demonstration of the vast resources in timber and in agriculture of the Skagit valley. Even if 90 percent of the miners left in disappointment or disgust, the remaining 4-500 stayed on to stake other claims, to homestead farms or to log timber that was in demand for homebuilding from Seattle to San Francisco, and across the country. The Illustrated History says that in July 1880, Captain Thomas Brannin of the steamer Chehalis, made the trip up the river to The Dalles [present location of the bridge south of Concrete] in two days and a half, attaining the highest point ever reached by a steamboat, and that a few days later, the Josephine, under Captain Denny, reached nearly as high a point. Actually we think that was Captain Sam Denny of the Fanny Lake. Regardless, these steamers were both of one hundred tons burden and their successful voyage demonstrated the possibilities of navigation on the Skagit. One result of the travel back and forth to the mines was the demand for numerous way stations and provision stores up and down the Skagit valley. Travelers told folks in Seattle and back home about Mount Vernon and the Clothier & English store..
See our portal section for links to all features about West County towns and pioneers from Hwy 99 to the Sound. Jasper Gates and the original settlement of the site that became Mount Vernon. We hope that a descendant of Joseph Dwelley reads this story and can tell us exactly where his claim was located vis-a-vis Jasper Gates and David E. Kimble. This story is from our old domain; we have discovered more facts since it was written and we plan to update it in 2012. This story will soon be changed to this address when it is updated. If neither file connects, please email us. New portal section to all our stories and research about the earliest settlers in the Skagit Valley. David Everett Kimble, first settler to homestead in 1869 near future Mount Vernon. With links to five other stories about him and his family and the settlers of 1869-71, plus we unravel the mystery of the Kimble/Kimball name confusion. This story is from our old domain; we have discovered more facts since it was written and we plan to update it in 2012. We also hope that descendants of other early settlers will contact us, especially if you have any family records that will shed light on the settlement, the story of which is still based largely on conjecture and triangulation. Since newspapers were scarce and few of the settlers recorded their actions, we hope that family scrapbooks, letters and diaries will provide more information. We are especially seeking information about the layout of the original town., and any old photos, especially before 1891 and anything about the big downtown fires of that year and of 1900.